This course is designed to provide instruction on deployment methods of the armored tactical rescue vehicle (ARV) in hostile environments. The different roles of the armored tactical rescue vehicle, to include victim rescue, utilization as a weapon shooting platform, delivery of team elements, negotiation phones, chemical agents and other techniques will be discussed. 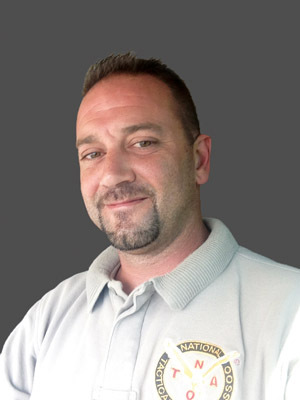 Investigator Chris Maiorano began his Law Enforcement career on January 6, 1999 and is currently employed with the Seminole County Sheriff's Office in Central Florida. He was assigned tot he SWAT team in 2002 and serves as a team leader for the Seminole County Sheriff's Office multi-jurisdictional SWAT Team. He has a background in Patrol, Investigations, Undercover Work, and Special Operations. He is an instructor in several disciplines to include, General Course, Basic SWAT, Tactical Shield, Mobile Field Force, Armored Rescue Vehicle Tactics, and the SWAT Team Leader course. He is the recipient of the Gene Gregory award and several other commendations.